“Come September” was an old successful blockbuster romantic comedy of Hollywood. The story line suggests a caretaker of an Italian villa who is very surprised to see its owner, a rich Yankee businessman, arrive two months early. This is a major problem because when the American isn’t visiting, the caretaker uses the villa as a hotel and pockets the profits. While he is there, the Yankee gets interested in a voluptuous guest. Meanwhile newlyweds continue their honeymoon. Some kind of similar joke was played by history at the expanse of our past in India. Very few of our modern Muslim youth who sing and dance with the music of ‘Come September’ know the other side of story of Sep 1857 that had changed their destiny, brutally and drastically for the foreseeable future. We are still paying the price of mistakes made in the past. It was the eventful mournful day of Sep 14, 1857 when the sun of Islamic Mughal Emipre finally set behind the minarets of Jama Masjid, Bhojla Pahadi, Delhi. The First War of India’s Independence began on 10 May 1857 in the form of a Mutiny of Sepys of the Company’s army in the garrison town of Meerut, 40 miles northeast of Delhi. It then erupted into other mutinies and civilian rebellions chiefly in the Central India. The rebellion posed a considerable threat to British power. However, after a four-month long bloody siege of Delhi, the British forces were victorious and on September 14, 1857 and Delhi fell into their hands. Residents of the Shahr Panah or city of refuge, Shahjahanabad, could not quite believe that what had happened though there had been growing evidence in front of their eyes. The rebellion was contained only with the rebels’ defeat in Gwalior on 20 June 1858. On 1 November 1858, the British granted amnesty to all rebels not involved in murder, though they did not declare the hostilities formally to have ended until 8 July 1859. The rebellion is known by many names, including the Sepoy Mutiny, the Indian Mutiny, the Great Rebellion, the Revolt of 1857 and the Indian Insurrection. Every Indian knows about the first spark – the bullets coated with objectionable animal fat. On September 17, the Mughal Emperor Bahadur Shah Zafar left the Qilla-e-moalla (Red Fort) to avoid further bloodshed. There was panic in the city. On September 20 he surrendered and ‘captured’ by Major Hodson. He brought him back as as prisoner to Shahjahanabad. By then, the walled city of Shahjahanabad was vacated by old residents with the exception of those who had sided with the British forces. They were only allowed to stay on. Mirza Ghalib was allowed to stay on because the street in which he lived was inhabited by employees of the Raja of Patiala. This Raja was a loyal stooge of British rulers and he had sided with the British in quelling the ‘rebellion’. Not everyone was so fortunate. Maulvi Mohammad Baqar who had run the newspaper, ‘Dehli Urdu Akhbar’, exhorting Hindus and Muslims to fight together against the invader traders, the common enemy, was shot on December 16. It would be significant to recall that both Hindus and Muslims upper and lower castes had fought together in the First War of Independence. However, as this war was fought under the leadership of Mughal Emperor Bhahdur Shah Zafar – a Muslim, the wrath of the British Empire fell heavily on the Muslims. After a predetermined and predecided trial – a travesty of justice, Shah Zafar was exiled to Rangoon for sedition against his own empire. Most of the royal princes and princesses were killed. The rest royals met the unknown fate or death during escape or spent their lives in jungles and bastis without identity. The Red Fort was turned into a British army camp. Most of its palatial magnificent buildings were destroyed. Ugly barrack were built. The remaining marvels of Mughal architect were stripped of their precious stone decorations and pearls. The Jama Masjid was turned into a soldier’s camp and its side galleries were used as stables. The Akbarabadi and Kashmiri Katra mosques were demolished. Fatehpuri Masjid was sold to Lal Chunamal. He had converted this mosque it into a godown. Zeenat-ul Masajid was turned into a bakery. In ‘According to the history of rebellion, the Hindus were given a proclamation of freedom and allowed to re-enter Shahjahanabad in January 1858. Ironically the Muslims were not permitted to enter till a decade or more later. Their traditional crafts, avocations and arts were destroyed. Most of the intellectuals were compelled by circumstances to desert Delhi. The Delhi Jama Masjid was returned to the Muslims in 1862 with many conditions and most humiliating one was the right of British officers to continue wearing shoes inside. Fatehpuri Masjid was re-bought from Lala Chuna Mal. A new class of rich traders, led by Lala Chuna Mal emerged who bought the properties of the ousted nobles and prospered. The character of Shajahanabad changed. The Delhi that has a definite Muslim Character became an alien township for them and the old order gave way to the new. After 14 years, in 1876, Queen Victoria of England became the Empress of India. There were reasons for Muslims to lag behind. Now, who fought for the freedom and who got the reward? Let the future dispassionate historians decide! According to authentic reports published in the aftermath of Gujarat Pogroms 2002, the Intelligence Bureau of the government had collected data on damages done to religious sites. The data showed that the rioteers desecrated a total of 562 religious places — 302 dargahs, 209 mosques, 30 madrasa, 18 temples and three churches. It has also claimed that of these damaged shrines, 294 had been repaired by December 31, 2002. A human rights fact-finding team called ‘Sahmat’ had reported back in 2002 that around 20 mosques were demolished in Ahmedabad alone as of March 11, 2002. The dargah of famous Urdu Poet Wali Gujarati, who was buried there, was also demolished at Shahibag in Ahmedabad. The Noorani mosque was damaged and burned in Naroda Patiya. The minaret of the mosque was also destroyed. In another incident, a 500-year-old mosque in Isanpur was destroyed with the use of cranes and bulldozer. The mosque at Por in Vadodara was razed by using a bulldozer belonging to the municipal corporation. The UNESCO designated World Heritage city and Gujarat’s capital Ahmedabad was one of the worst affected in terms of riot casualties and damages to religious sites. The historical monuments, mostly religious, were relics of a mixed-cultural past. For example, Ahmedabad’s 15th-century sultan Ahmad Shah I married a Hindu Rajput princess. Around 600 years ago, by the side of the river Sabarmati, the newly-crowned Sultan of Gujarat Ahmad Shah I had laid the foundation of the first planned city of medieval India. It was to be established by four persons named Ahmad who had not missed any of their obligatory prayers. After a frantic search across Gujarat four Ahmads – Sultan Ahmad Shah I, Shaikh Ahmad Khattu of Sarkhez, Qazi Ahmad Jod of Patan, and scholar Malik Ahmad came together on 7 Zil Qa’da 813 ( 2-3 March 1411) to establish a city that saw the its worst mayhem in the human history. However, the Muslims were flourishing in Gujarat even before the the establishment of Ahmedabad. According to historical documents, Allauddin Khilji’s army appeared in this region in 1297. Just like Muslims arrival in Malabar in Kerala, as soon as Islam began spreading in Arabian Peninsula, Muslims began to make their presence felt in the coastal region of Gujarat. After Sindh, it is Gujarat where the first Muslim rule was established in Indian sub-continent. Sanjan, a small town on the coast saw the establishment of an independent principality. The famous Historigrapher Abul Hasan Ali Masudi had arived in Cambay (aka Khambat) in 915 CE and he saw a large number of Arab Muslim settled in Cambay, Chembur, Thana, Sopara, Sanjan, and Bharuch. He wrote that Muslim led honourable life under Hindu kings and they had built a number of mosques where regular prayers were offered. And a number of these mosques have survived the wreak of time, making Gujarat site of some of the oldest mosques of India.The oldest mosque in Gujarat is the Jama Masjid of Bharuch which was completed in the year 1065. The famous Islamic invader Mahmood Ghaznavi attacked the temple at Somnath in the year 1024. About 150 years later it was Shahabuddin Ghori who also attacked Gujarat but failed twice and not until 1197 when his general Qutubuddin Aibak had some success in Gujarat. The Modern Gujarat has its roots in the establishment of sovereign Sultanate of Muzaffar Shah I by declaring his independence in 1407. Four years later his grandson Ahmad Shah I, founder of Ahmedabad, becomes the Sultan and start giving shape to a region that we recognize as present day Gujarat. Ahmadabad was declared a “Historic City” on UNESCO’s World Heritage list on 8th July, 2017 during the 41st Session of World Heritage Committee. This made the walled city of Ahmedabad the first city in India and the third in Asia to be inscribed to the World Heritage List. It presents a rich architectural heritage. The inscription has been done under Criteria (ii) and (v) as defined in the UNESCO’s Operational Guidelines, 2016. Criterion (ii) refers to the important interchange of human values, over a span of time on development of architecture, monumental arts, town planning and landscape while Criterion (v) refers to being an outstanding example of human settlement and land use. And what happened to this city of golden heritage is described by Wikepedia in the following words: The 2002 Gujarat riots, also known as the 2002 Gujarat violence and the Gujarat pogrom, was a three-day period of inter-communal violence in the western Indian state of Gujarat. Following the initial incident there were further outbreaks of violence in Ahmadabad for three months; state wide, there were further outbreaks of communal riots against the minority Muslim population for the next year. The burning of train in Godhra on 27 February 2002, which caused the deaths of 58 Hindu pilgrims Karsevaks returning from Ayodhya, is cited as having instigated the violence. According to official figures, the riots ended with 1,044 dead, 223 missing, and 2,500 injured. Of the dead, 790 were Muslim and 254 Hindu. The CM of Gujarat at that time, was accused of initiating and condoning the violence, as were police and government officials who allegedly directed the rioters and gave lists of Muslim-owned properties to them. However, in 2012, Modi was cleared of complicity in the violence by Special Investigation Team (SIT) appointed by the Supreme Court of India. Regarding the religious places demolished, destroyed and dilapidated by the rioters, The Supreme Court on Tuesday has set aside a Gujarat high court order directing the state government to pay compensation for the damage and destruction of religious sites in the 2002 communal riots in the state. A bench headed by Chief Justice Dipak Misra passed the order in the light of the assurance and scheme extended by the Gujarat government agreeing to pay for restoration of damaged religious structures during the communal riots. The court was hearing an appeal by the state government against the Gujarat high court order on a plea by an NGO, Islamic Relief Committee of Gujarat (IRCG), asking the state to compensate for the damage and destruction post the riots. A division bench of then acting Chief Justices Bhaskar Bhattacharya and J.B. Pardiwala of Gujarat high court had ordered compensation for over 500 places of worships in the state in 2012. IRCG’s plea had sought a court directive to the state government to compensate for damage and destruction of religious sites during the riots. It has been enquired who is Ghalib, Tell me what should I say? Rampal has been cleared of two charges — obstructing government servants from performing their duty and wrongful confinement of people. He will, however, continue to remain in jail as he faces charges in at least eight other cases, one of which dates back to 2005 where a villager was shot dead in Hisar. With the arrest of swambhu-godman, the 63-year-old Rampal from his Barwala (Hissar) ashram, the curtain falls temporarily upon the significant liberal movement that was challenging the hegemony of Arya Samaj and its fellow traveler RSS in Haryana-Punjab provinces for quite some time. The big protracted drama was stage managed to tom-tom the efficiency of Haryana police and to glean the scattered brownie points for Mr. Khattar and Co. Ironically, none of the participants has come out in flying colors from that sordid conflagration. Dark days ahead, it seems for Rampal as state administration is going to entrap him in full conceivable net of law and its violation. The simple straight defiance that began with the arrest order of Rampal by the Punjab and Haryana High Court in a case of ‘criminal contempt of court’ following his persistent in refusal to appear before the court ballooned up. And it is now leaving behind the wider social-religious divide in its wake. The operation took life of five women and a child, injuring of many others including two dozen media persons covering the event. The recalcitrance and obstinate resistance of Rampal has likely caused this flare up. Is it the only truth? On the face of it, technically, yes! But there is much to read between the lines. Rampal, as individual, was a small fry. However, what he represented was the tip of iceberg, a stream of fantasy, a congeries of events and a slice of real loaded history. It is much different than what this prejudiced media want us to believe. In fact, Godman Rampal was challenging the might of Arya Samaj and his abortive defiance was a symbol of resistance against RSS ideology. Media, hand-in-glove with the ruling class, reported what police and official machinery put on silver-platter for them. They failed to educate the masses about the root cause of the controversy which has climaxed to this dramatic tragedy. Police was capable to put its hands on Rampal any time it felt proper. To look at present crisis with objectivity you can’t shut your eyes to the painful past. History keeps reminding the bitter and sweet narratives, sometimes in books and at other in practice. You have to travel the hoary distance of 150 years to know the roots. It began with the resurgence of Arya Samaj in erstwhile Punjab when Swami Dayananda Saraswati, the founder of the Arya Samaj, came on the Punjab. He was a strong critic of “ heterodox” religious schools like Jainism, Buddhism and Sikhism. He detested “religious impurities.” He was also a staunch votary of Vedas and believed that Sanskrit was the only language that could become the vehicle of spiritual, philosophical and lofty ideas. In his book ‘Satyarth Prakash’ ( Light of Truth), in 1875, he attacked Guru Nanak whom he addressed as ‘dhurta’, meaning rogue and charlatan. He called the Sikh holy book as ‘mithya’ ( false) and the Sikhism as ‘jaal’ (a snare, a trap). This led to a clash between the Sikhs and followers of Arya Samaj belonging to upper Hindu castes and a elite business and educated section having base in Lahore and Amritsar. The periodic manifestations in various forms of clashes raised its head over a century. The Punjab problem and the Sikh pogrom of 1984 in independent India was the tail ender tableau of that friction. It is important to note that the holy Sikh scripture includes more than a hundred hymns of Bhagat Kabir, besides carrying the latter’s broad religious concepts as ‘naam’, ‘the creator and unfathomable’. Vedanta and Vaisnavism with all its adjutants like asceticism, caste-system and withdrawal from the life go at the tangent with Kabir’s thoughts. In the period of 1877 – 78, Swami Dayananda had initiated ‘Shuddhi’ campaign meaning ‘purification movement’ to reclaim converts from the Sikhs back to the Hindu fold. It was Sant Rampal who raked up that old historical religious-cultural conflict by challenging the doctrine of Arya Samaj in his lectures. Everyone knows that Arya Samaj, in Haryana, is now a close ally of RSS. The BJP chief minister Mohan Lal Khattar, and he is an old RSS hand. He is a Hindu Punjabi whose family had migrated in 1947 to Indian Punjab from the core area of Arya Samaj now in Pakistan’s Punjab. It was not a welcome development for Arya Samaj. Rampal’s ashram entered into direct confrontation with Arya Samaj. In a violent clash that ensued between his and Arya Samaj followers a 20-year-old Sonu was killed. And he was implicated into that murder case which witnessed him behind the bars for 18 months. Those murder charges are still sticking to his person. Since than his ‘Kabirpanth’ and Arya Samaj have frequent clashes resulting in pernicious social and religious divide in the area. Rampal, like Martin Luther, had been criticizing the set- beliefs of Arya Samaj and other religions. He dared to question the origin and ancestry of gods (devi-devtas) and the popular interpretations of Hindu scriptures. Often he used, at his congregations, very aggressive language. According to Rampal, the “real truth” has been hidden from the people by gurus and intellectuals who have interpreted scriptures in the past. The majority of Rampal followers come from the lower middle-class, dalits, anti-Jaat castes and backward castes. For every big fire there had been the real reason and more often apparent reasons. A personal note – A big thanks to my boss Taizoon Khorakiwala! There are moments in life when we find ourselves confined in a particularly unfavourable setting or circumstance with no possible way out. We actually feels as though we have been taken captive like a beast caught in a snare. And particular trials leave us feeling like at our wit’s end – not knowing exactly what to do. We are supposedly given a cup to drink from – the cup of astonishment – the cup of trembling and reeling. Know this – your circumstances are not here to stay. You will soon see the light at the end of the tunnel. You are coming out of all of this. God’s promises are still true. As Matthew Henry said, your sun is going to shine so much brighter after being under a cloud for so long. You can count on it. Having said all about Almighty Allah, let me talk about the milk of human kindness, the concerned and sympathetic friends, relatives and well wishers. A time of calamity is also the best time to measure and judge your friendships. Those who read my articles regularly, may bear witness that I’d never ever made any grouse or complaint against my friends. In fact I’d never had one. Those who had been hard upon me for whatever reasons in past were never entered in my diary as my enemies. I’ve always convinced myself that they had a reason for what they did and they were doing their job. Today, I shall especially talk about my bosses with whom I’d worked for 32 long years. I’d been in Bombay recently and one of the son of my boss (who was also a boss even when I joined) offered me to join back is a capacity that would suit to my experience. I was moved with to the bottom of my heart. I thanked and politely expressed my inability as I’ve had discovered a new boss that is my PEN. I excused them saying that I need more than 24 hours in a day to fulfil my present assignments. I can’t give up on my last crossing half-way. I can’t finish this write-up without mentioning one of my dearest bosses who has left the indelible marks on my life and with whom I’ve never had an easy relationship. How he managed with a tough nut like me for 24 protracted years was nothing short of miracle. I had to leave my job in 2006 for medical, personal and failing to justify (Raison detre) my existence in the new set up. How may bosses keep in touch with their employees once they leave the job? But, my bosses were always there on my mobile to offer any help I needed. And just a few years back when I happened to see one of my bosses in Bombay, he offered to assist with an undisclosed amount to carry forward the business venture that I’d started. No one would believe that hinted offered amount exceeded 7 digits. Again I was grateful for such a great pep but for the same reason that I’d mentioned earlier, I was not in a position to avail that. However, I can’t forget this caring and compassionate boss ever in my life. I don’t have to wear my emotions on my sleeve but would request you, my readers, to imagine what it means to have a big heart. I found that having a big heart means that you are a little more emotional than others. My bosses had always shown big heart for me. Way back in 1976, they had booked (FREE) for me a flat in Bombay suburbs that has now become the centre of town today. I learned a lot from them. When I see someone else in pain, my heart takes the pain just as hard. I also find that having a big heart is having the ability to easily forgive and forget also. I always seem to let myself believe that people have just as big of heart as mine, no matter how many times people prove me wrong. Very recently, when my brother fell sick and was recovering, my boss was there to support me morally and console me will his pen. How can I forget that in the practical life we both are on different platforms. He is a big big businessman and I’m just an ordinary city journalist. Yes, you my bosses have been extraordinary, kind, gentle, caring and benign. Thanks to all Khorakiwalas, especially Late Hussaini Bhai, Late Shabbir Bhai and my loving boss (May his shadow never grow less) Taizoon Khorakiwala. God bless you! We are used to reading, watching and hearing the depressive news about Middle East. And if it isn’t about the drop in prices of Black Gold, nothing comes out except what the regimes want to tell the world. However, given to Indian economic systems, we rarely enjoy the benefit of this drop also in a palpable way. We read about beheading, the Arabs killing and conquering the Arabs or a war of attrition against Iran; Palestinians being beaten by Israel. The world watches dispassionately this panorama and there is always a silence of the lambs in Non-Arab Muslim countries. Most of them are caught neck-deep in the vortex of their own problems. But there is something that is heartening to know. According to a news portal ‘TheNewArab’ there is awakening that is taking place and people around the world have begun to take notice of what is happening in these benighted monarchies and dictatorships against the Human Rights. 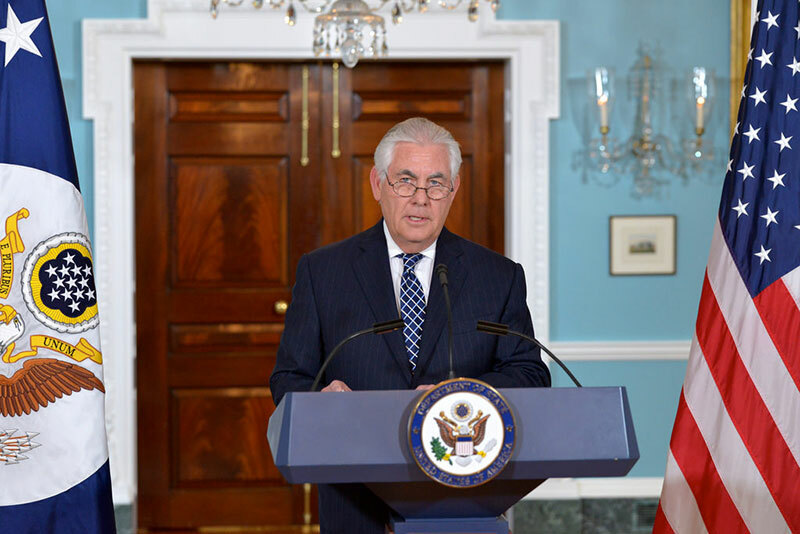 In the ‘Annual Religious Freedom Report’ issued this Tuesday, the United States Secretary of State Rex Tillerson has slammed the US allies in the Gulf, Saudi Arabia and Bahrain, for persecuting religious minorities. Launching the first report since Trump took office, he took swipes at these errant monarchies and other countries – Sudan, Turkey, Pakistan and China. Rex Tillerson urged Riyadh to “embrace greater degrees of religious freedom for all of its citizens”. “The government does not recognise the right of non-Muslims to practice their religion in public and applied criminal penalties including prison sentences, lashings, and fines for apostasy, atheism, blasphemy and insulting the state’s interpretation of Islam,” he said. He added that Saudi authorities were attacking Shia Muslims and allowing social prejudice and discrimination against the minority, which makes up around 15 percent of the country. The Saudi security forces have recently sealed off a Shia-majority town AWAMIA, in the Eastern Province of the country, demolishing large sections of the town following months of unrest. Similarly, Tillerson slammed the Gulf state of Bahrain for the detention of Shia clerics and political activists. “Members of the Shia community there continue to report ongoing discrimination in government employment, education, and the justice system,” he said. Bahrain has been ruled for more than 200 years by the Sunni Al Khalifa dynasty. The Kingdom of Bahrain has been gripped by unrest since long and the situation has worsened further since2011, when the country’s majority Shia population took to the streets to demand an elected government. 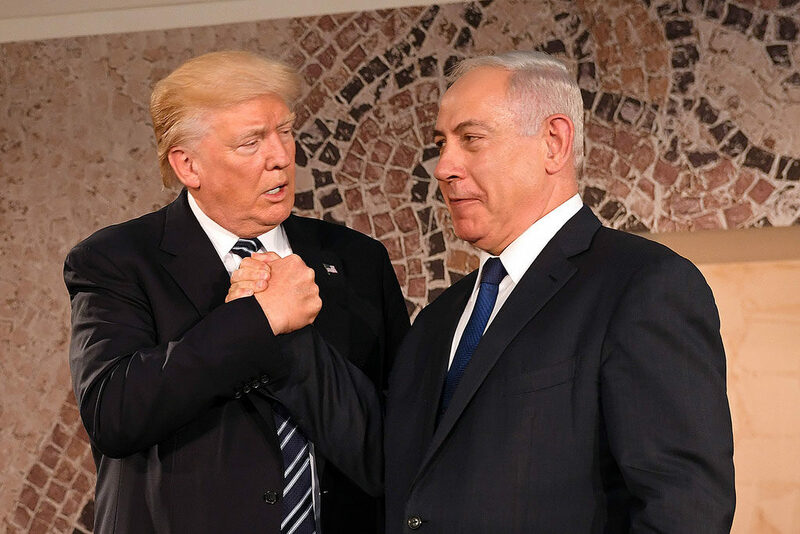 As usual, the report did not criticise its key US ally Israel, despite its restrictions on the religious freedoms of Palestinians under occupation. “There is always someone having a much worse day than you.” It is cliche that is often used to console the disturbed minds. Many Indians were shocked when Prime Minister Narendra Modi deliberately ignored to mention about the previous illustrious prime minsters of India like Nehru and Indira Gandhi. They were wondering about the historical slight of RSS stalwarts. Unfortunately, in this new world, the politicians and even the common man doesn’t bother about courtesy, politeness, acknowledgements or thanks. We are becoming selective in every sphere of life. However, we’re not alone in this ungrateful theatre. Honouring the soldiers is a universal tradition and India or America are no exception. We revere and admire our men and women who serve in armed forces especially when when they faced death on duty. We eulogise their sacrifices and we don’t discriminate among them. However, I was shocked when I read the story of the 294 US Navy technical staff members who had been viciously attacked by Israeli jets and cruisers on June 8, 1967. They were serving on a US Navy technical research ship that was stationed in international waters north of the Sinai Peninsula. The USS Liberty stayed afloat despite nearly two hours of strafing and bombing. The crew held their fire and tried to alert the attackers that they were openly flying a US flag and were not engaged in any military threats. The attack killed 34 crew members, all US citizens and decorated military servicemen. Another 174 were seriously wounded. The attack was launched by America’s “ally” Israel. Ever since, both Israel and its American political defenders have blocked numerous efforts to highlight it. Ever since, both Israel and its American political defenders have put every effort to balck-out this news. In the so-called civilized nation, instead of being honouring these martyrs at the Veteran’s Day ceremonies or during national holidays, these poor victims are demonized and denounced as “anti-Semites” simply because they have challenged Israel’s propaganda, which asserts falsely that it made a mistake. Sometime back, in a city in Florida called Palm Coast, it was suggested that a small plaque in the “Heroes Park” should be installed commemorating those of the Liberty victims. The park district approved the plaque, especially since one of the Liberty survivors, Ernest Gallo, has lived in Palm Coast for 15 years. Communities with veterans living among them are usually proud to showcase them. Yet for some unexplained reasons, the city council voted to block placement of the plaque at “Heroes Park.” Politicians in this Florida community decided that these veterans did not deserve recognition. In Europe the people have begun to realize the brutality of Israel against the helpless Palestinians. New voices are being raised there in favour of voiceless inhabitants of the Holy Land of Prophets. It is so sad that Israel holds a strong fist at the minds of Americans that they care two hoots about the plight of Palestine. They are too funky about Israel. The world has yet to change for better. ‘Ek Dil ke Tukde Hazar Hue’ from the Suraiya-Rehman starrer Pyar ki Jeet (1948) is a good example of that indelible mark of GM. ‘Dulari’s’ famous song Suhani Raat Dhal Chuki gave his career a flying start with superb music by Naushad. It would be no exaggeration to state that Mohammed Rafi was the most versatile singer in the history of Indian Cinema. He was capable to sing for anyone in any style. Rafi proved his versatility by singing for Dilip Kumar, Dev Anand, Shammi Kapoor, Rajendra Kumar, Johnny Walker, Sunil Dutt, Biswajeet, Joy Mukherjee, Dharmendra, Shashi Kapoor, Raaj Kumar and Amitabh; and many more. Can any music lover forget the classical “ Madhuban Mein Radhika Nachi Re ?” Some believe that ‘Oh Duniya Ke Rakhwale..Sun Dard Bharey” is the greatest song of Indian films till date. Rafi was born in Kotla Sultan village, about 30 kms from Amritsar in Punjab on December 24, 1924. He died on July 31, 1980. Rafi was a very simple man, who would talk straight from his heart and used to help everyone in need. Rafi moved to Lahore at the unripe age of 14. In Lahore, he studied music under Khan Abdul Waheed Khan, Jeevanlal Matto and Ghulam Ali Khan. He was introduced to Radio Lahore by composer Feroz Nizami and made his film debut as playback singer in the Punjabi film Gul Baloch (1944) singing for composer Shyam Sunder. In 1944, Rafi landed in Mumbai (then Bombay). His first break was with Naushad in Pehle Aap (1944). Naushad gave him more chances in Anmol Ghadi (1946), Tera Khilona Toota Balak and in Shah Jehan (1946) where he sang only few lines in a duet with K L Saigal. Only few remember the maestro GM Durrani, whose singing had influenced Rafi. “Ek Dil ke Tukde Hazar Hue” from the Suraiya-Rehman starrer Pyar ki Jeet (1948) is a good example of that indelible mark of GM. “Dulari’s” famous song Suhani Raat Dhal Chuki gave his career a flying start with superb music by Naushad. Thereafter, Rafi never looked back. However, the first challenge to his singing came in 1971, when his popularity plummeted and Kishore Kumar took over. He was a great human being as he did never lose his composure in prosperity or in adversity. He remained humble and soft-spoken through every up and down. He made a spectacular comeback with the Nasir Hussain musical Hum Kisi se Kum Nahin (1977) and Amar Akbar Anthony in the same year even winning the National Award for Kya Hua Tera Vada for the former. Unfortunately, he had left little time to enjoy the second phase of success. On 31st July,1980, Rafi died of heart attack. Rafi has left a vast treasure for every music lover for every occasion. May his soul rest in peace. The Niti Aayog vice-chairman Arvind Panagariya on Tuesday resigned from his position and said he will return to academia. He said he has written to Prime Minister Narendra Modi to relieve him of his duties by August 31 as he was not getting extension of leave from Columbia University. In August 2014, PM Modi had announced that the Planning Commission had become redundant, and hand-picked Panagariya, the Jagdish Bhagwati Professor of Indian Political Economy at Columbia University, to head the organisation in its new avatar, the National Institution for Transforming India or NITI Aayog. In March 2012, Panagariya was honoured with Padma Bhushan, the third highest civilian award the country bestows in any field. Free-market economist Arvind Panagariya has been one of the most vocal supporters of ‘Gujarat model of growth’. A renowned Indian-American economist, 62-year old Mr Panagariya is known for his market-friendly views and is a close associate of well-known trade economist Jagdish Bhagwati. The two have often challenged Nobel laureate Amartya Sen to an open debate on Indian economy. Much before Prime Minister Narendra Modi came to the national scene, Mr Panagariya has been voicing his support for the economic policies of the former Gujarat Chief Minister during his tenure in the state. Mr Panagariya and Mr Bhagwati, in a book co-authored by them and named India’s Trust with Destiny: Debunking Myths that Undermine Progress and Addressing New Challenges’, used ‘Gujarat Model’ as a metaphor for development primarily driven by growth and private entrepreneurship. An advisor to Vasundhra Raje government in Rajasthan, he was seen as a big supporter of the state’s labour reforms. “It (demonetisation) undermines notes, it undermines bank accounts, it undermines the entire economy of trust. That is the sense in which it is despotic,” Prof. Sen told to a TV channel. “It’s (demonetisation) a disaster on economy of trust. In the last 20 years, the country has been growing very fast. But it is all based on acceptance of each other’s word. By taking despotic action and saying we had promised but won’t fulfil our promise, you hit at the root of this,” Prof. Sen said. We don’t don’t really know who was wrong. Did Panagariya not know in advance that he won’t get extension of leave from Columbia University where he was teaching? “From Gini to Ginis” …something near to my life! In keeping with my resolve not to fiddle with political write-ups for the time being, I’m taking liberty to dig into innocuous nostalgia that might be of some interest to those who keep a tab on history of Mumbai aka Bombay. I’d landed in Bombay in 1973-74. I can’t recall with surety the exact date. It’s not important. And after a few unsuccessful stints in journalism and film industry elsewhere, I joined the ‘Monginis Restaurant as captain. This restaurant originally belonged to an Italian family. After changing several hands it landed with the Bohra family that was the pioneer of Super Market Concept in Bombay. They didn’t go for the goodwill of name MONGINI and called their venture – Monginis! You will find stray hints about ‘Mongini Hotel’ of pre-independence era in Ruth Jhabbawala’s award winning novel ‘Heat and Dust.’ You can also read about social and political understanding and acumen of Amjad Ali in the Urdu novel ‘Panch Loafer’ (Five Scoundrels) written by famous Urdu novelist Krishna Chandra. The character has great resemblance to the new owner of Mongini and Sheriff of Bombay. However, what intrigued me to write this peace is a story that has appeared in ‘The Hindu’ daily today. Fan accident case: suit dismissed. At the High Court today (Bombay, July 30) Mr. Justice Kajiji delivered judgment in the suit filed by Mrs. Blanche Edith Catesy, a nurse and midwife, against Messrs Mongini Brothers for the recovery of RS 15,000 as damages and cost. The fact of the case are briefly as follows: On 4th May 1916, the plaintiff and her daughter went to the defendants’ restaurant to have lunch and when they seated at the table, the waiter switched on a fan overhead. The plaintiff wishing the fan to be stopped…..the waiter switched it off. The fan immediately fell down with armature and severely injured the plaintiff. She was seen to the hospital where her wounds were attended to. The plaintiff alleged that he was under medical treatment owing to the accident for one month, had to incur expense on that account and was incapacitated from carrying on her profession. Under the circumstances she claimed Rs 15,000 as damages. The defendants admitted the accident but they did not admit that there had been any injury to her body. They denied that the fall of the fan had been due to any negligence on their part as alleged by the plaintiff.”……end of the quote. We know that memories always have a way of evolving, becoming either more gentle with the passing years or taking on added dimensions of intensity. At times we may also need to sieve through our memories of people whom we have known in the past to determine their degree of accuracy. I’ve been attached to Monginis Group for nine years and the mother family for the later 24 years. The parting gift I had received from them was a ‘prototype steal ship’ with nickel coating in glass box with a blue velvety background – nothing written on it. It still stands singularly on the corner table of my drawing room. It stares at me, at times reminding me of a proverbial ship than ran aground. Often it whispers in ears about the futility of loyalties, trusts and relationship, and finally a thought that does flash like comet – an acceptance of the fate. In keeping with my resolve not to fiddle with politics for the time being, I’m taking liberty to dig into innocuous nostalgia that might be of some interest to those who keep a tab on history of Mumbai aka Bombay. Amjad Ali is not the protagonist or any one of the main characters but a casual entity – a character that has great resemblance to the new owner of Mongini and Sheriff of Bombay. We know that memories have always a way of evolving, becoming either more gentle with the passing years or taking on added dimensions of intensity. At times we may also need to sieve through our memories of people whom we have known in the past to determine their degree of accuracy. I’ve been attached to Monginis Group for eleven years and the mother family for the later 24 years. The parting gift I had received from them was a ‘prototype steal ship’ with nickel coating in glass box with a blue velvety background – nothing written on it.